What is so great about this bag? Before I answer that question I want to backtrack and let you in on the process that I went through to select this bag. Sue did her research based on my sketchy requirements and offered me two options – two URLs. I clicked on the first link and it took me to this bag. I clicked on the second URL and it took me to another website and a bag that looked remarkably similar to this one. So why did I ask Sue to buy this bag? The first etailer is practice Sales 2.0 whilst the second etailer is firmly stuck in Sales 1.0. What is the difference you might ask? From my eyes, the customer’s eyes, the first etailer has looked at the sales process through my eyes and designed it such that it is a no brainer for me to buy from this vendor. The second etailer has a product and is simply putting it on display and hoping that someone will buy it. Who is the first etailer? Amazon. Who is the second etailer? Some online luggage etailer – I think because I cannot even remember the name of this etailer. Why did I buy from Amazon? 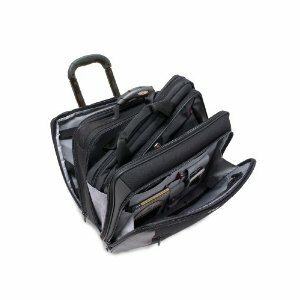 When I was faced with making a simple choice – two similar (but not identical) bags from two different etailers – how did the situation occur for me? The most important question was this one: which bag will perform the service (‘the job’) that I have in mind? I was not looking for a bag – I was looking for a solution to a problem! Amazon provided reviews of this bag. The reviews were from actual users of this bag (including a pilot) and through these reviews I was able to picture how well this bag would do the job. The competing retailer simply provided a list of product specifications – data – that simply had no meaning, no imagery, in my mind and thus did not provide the assurance I was looking for. What was my other main consideration? Can I count on Amazon to get this bag to me this week when I return to the UK? Notice that I had already favoured Amazon and Amazon would only be selected out (and the competing retailer in) if it failed this test. This was an easy question to answer because I have bought many times from Amazon and it gets my order to me within 2 -3 days. And recently, the next day – when I paid for next day delivery. I asked Sue to buy the bag from Amazon because Amazon created more value for me. How? The ‘Treatment’ variable does not matter because I was interacting with websites not human beings. The ‘Price’ variable did not matter because the price of the bags was almost identical – this bag from Amazon was slight more expensive. That leaves three variables: ‘Benefits’, ‘Effort’ and ‘Risk’. I had done business with Amazon before and it has an outstanding reputation (as evidenced in the latest survey) so it won hands down on ‘Risk’ – that is to say no risk in doing business with Amazon versus unknown risk with the competing etailer. Amazon won again on both ‘Benefits’ and ‘Effort’ – Amazon, through the user reviews, did a better job of illustrating the benefits and made it easy for me to find out about these benefits. The interesting part is that for all I know the other bag from the competing etailer may have been stronger on actual ‘Benefits’ – that is to say that it might have done the job better than this bag from Amazon. Yet, I will never find that out because the competing etailer did not do a good enough job of illustrating those benefits. 1. We, the customers, don’t buy products we are looking to get specific job/s done through products and services. So go and figure out what the job/s are. 2. You can have the best solution to the job that your customer wants done and lose the sale if you don’t really know the customer’s needs and buying process. So go and figure out what matters to customers (during the buying process) and how exactly they go about buying (notice I made the product decision before the vendor decision, someone else may have done it the other way around). Different customers will buy differently so ensure that you have flexibility in any process / interface that you build. 3. Take the risk out of the buying process – the product and your company. Provide a product selector that makes it easy for the customers to select the best product for the job the customer has in mind. Provide testimonials from credible sources: customer like them, trusted independent bodies like Which? Provide figures on how many of these products you have sold and what kinds of people buy them. Provide easy to understand, no quibble, guarantees. By the way the more important the purchase the more the importance (weighting) of the ‘Risk’ variable: there is more risk in hiring a consultant than buying soap powder. 4. Make it easy for the customer to buy from you – take all the effort out of buying. Look at the buying process from the customer’s eyes and take out all the obstacles. Take out all the industry jargon that confuses customers. Take out the complexity in any decisions the customer has to make – reduce the number of decision and reduce the effort needed to make a decision. Reduce the number of steps. Ask for the minimum information that you need. Make it easy to pay through a number of different payment options. 5. Brand (reputation) matters. I cannot help but think that I was already favouring Amazon even before I clicked the URLs. How do I know? Because I clicked on the Amazon URL first. Why? Because I recognised the brand and have a positive story running around in my mind about Amazon being a great company to do business with. If I have not done business with you before then all I have to go on is your brand (your reputation) – if I have any concerns around your brand then you increase the ‘Risk’ and that may drive me to your competitor or lead me to ask you to reduce your ‘Price’ to compensate me for that risk. So brand is particularly important for winning new customers. Do you see anything that I do not see? What are your thoughts / experiences? I’d like to add in that one of the deciding factors in many purchases I make online is how clean, simple, and transparent the transaction is. Amazon on this front aren’t actually particularly good as you have to go through 5 or 6 screens to reach your “final” invoice with all your preferences selected – rather than being able to choose a particular profile of pre-selected preferences. However in comparison to other websites, Amazon are at least explicitly clear about all charges and surcharges. Their free delivery on orders over £15 is particularly clear. Too many online catalogue websites are far too eager to get you to register just to put things in a basket, or to process through to the point of seeing what fees you’ll be charged. I’ve cancelled transactions outright with several retailers when I have been forced to sign-up just to see the small print (particularly when it comes to expensive purchases like air-fares). If I go into a retailer I expect to be able to take the item from the shelf to the till, with a reasonable expectation that unless I choose to have them hand deliver it to my house, or gift wrap it, the price I will pay is the one I saw when I picked it up. This predictability of cost between point A (the chocolate aisle) and point B (the till) is what fills me with the confidence that if I see something I like between the two I can add it to my basket without fear of the costs being racked up. With etailing, however it’s very easy to be promised one price on the shelf, another in your basket, and a third price once you’ve paid by your preferred method, and factored in the various forms of shipping available. This puts buyers off making further impulse purchases. Thank you for entering into a conversation and adding another dimension to the story. You are absolutely correct! A clean, simple and transparent process to get from start to finish is essential. And there is nothing more annoying then being whacked with all kind of obstacles in the checkout process – from hidden charges, last minute fees and forms to fill in so that the company can bombard you with spam marketing. I wish you well and look forward to hearing your voice again. Once again, thanks for making the time to make a difference!